The Interactive Services Detection service terminated with the following error: Incorrect function. Error 5/19/2015 7:40:14 AM Service Control Manager 7023 None The Interactive Services Detection service terminated with the following error: Incorrect function. Windows Installer reconfigured the product. Product Name: Microsoft System Center Virtual Machine Manager DHCP Server (x64). Product Version: 3.2.7768.0. Product Language: 1033. Manufacturer: Microsoft Corporation. Reconfiguration success or error status: 0. I can so far unfortunately not find anything that’s logging why Windows is reconfiguring all MSI Packages on the server every 30 minutes. It does look like it’s the DHCP Server extension that’s causing the Interactive Service errors, as they always happen at the same time. Though, the DHCP Server extension shouldn’t be reconfiguring in the first place. ch can be handy at times to see when a problem begun happening. It looks like the problem started on April 28 at 8:42 PM. As the Reliability History tool is disabled by default, I’ll make another blogpost showing how you can enable this feature for all your servers. hen I wanted to see what had happened around April 28th. I noticed that was the oldest entries in the Application log. When the log has become full, it has removed the oldest entries according to the settings. So I don’t think I’ll get any more details that way, and it does look like this problem has gone on for quite some time. I’ll just reinstall the Hyper-V Host as it’s done in a few minutes compared to spending hours trying to fix the problem. 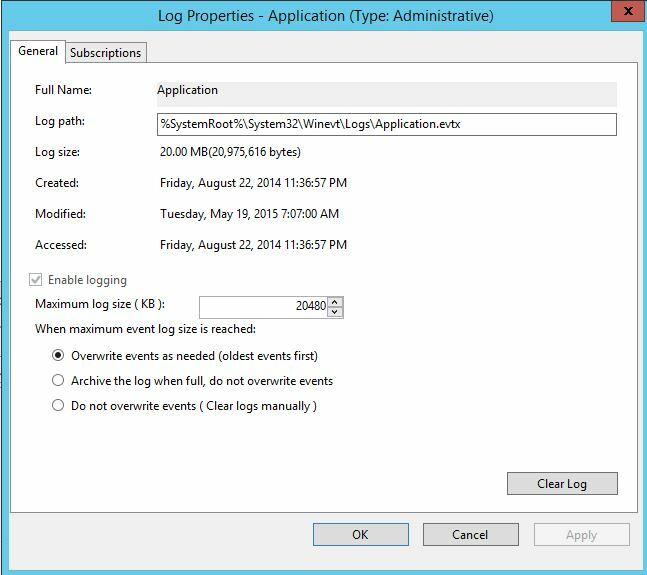 AND… I’ll create a Group Policy that will increase the Eventlog Size to x10 the default. So the next time something like this happens, I’ll have information to dig deeper. You have a group policy with a WMIFilter that queries Win32_Product class. You have an application installed on the machine that queries Win32_Product class. As the problem is not happening every 90-120 minute which would be true if it was GPO Triggered, I would say it’s an application that uses the Win32_Product class. 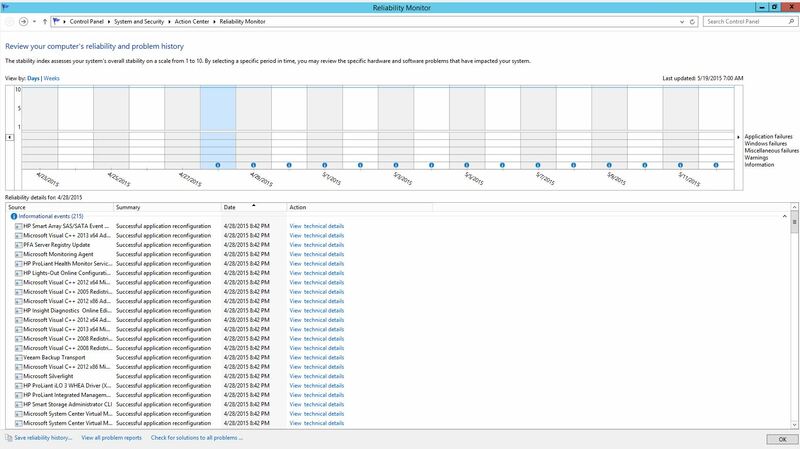 And after doing some digging, it turns out it’s a known problem with VMM which will be fixed in UR7. Or hopefully earlier with a hotfix. Wow, I got a hotfix for the issue within 15 minutes after contacting the VMM Team. I’ve just installed it in our test environment and will later install it in the customers production environment. That info should make them able to find the correct hotfix. Hi, yes it did fix the problem for my customers who had the issue. It’s not triggering a re-configuration of all MSI packages anymore. Hi there. Any further update? We are getting the Application-1035 events every 30min on our HV servers, but not the System-7023. Just curious if the fix from VMM team sorted things!